I deleted the paypal button from my website because it was directing to the wrong page. I am now trying to reinstall it on my jotform and I get the message that I need to delete the old one first. I cannot find the old one on jotform. Help! 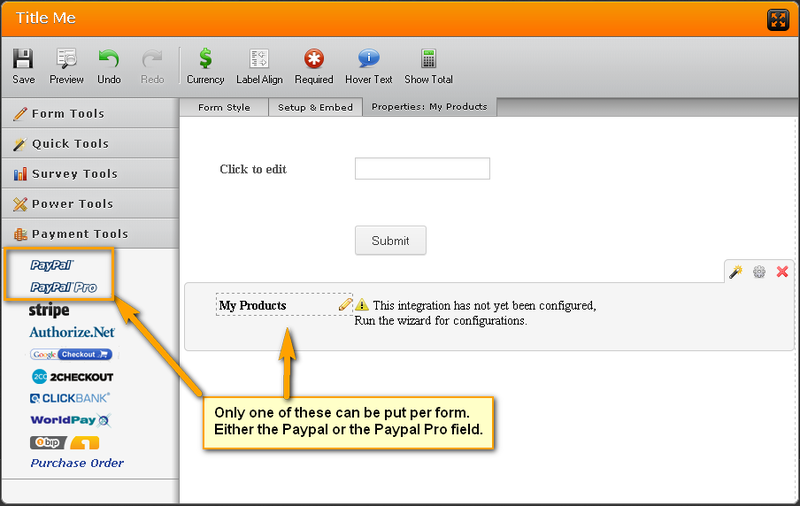 The error message you are receiving is pointing at the Paypal field or control that you have placed on the form. You have to delete either the old Paypal field or the old Paypal Pro field from the form editor before you can add a fresh new Paypal field. Alternatively, you may use our Paypal Apps to create a fresh new form without conflicts: You may choose the Paypal Integration App or the Paypal Pro Integration App.